I do this. You do this. Sometimes we all do this. Women do this more. Junior employees definitely do. Bosses tend to steer away from it, but even they commit this bad habit. 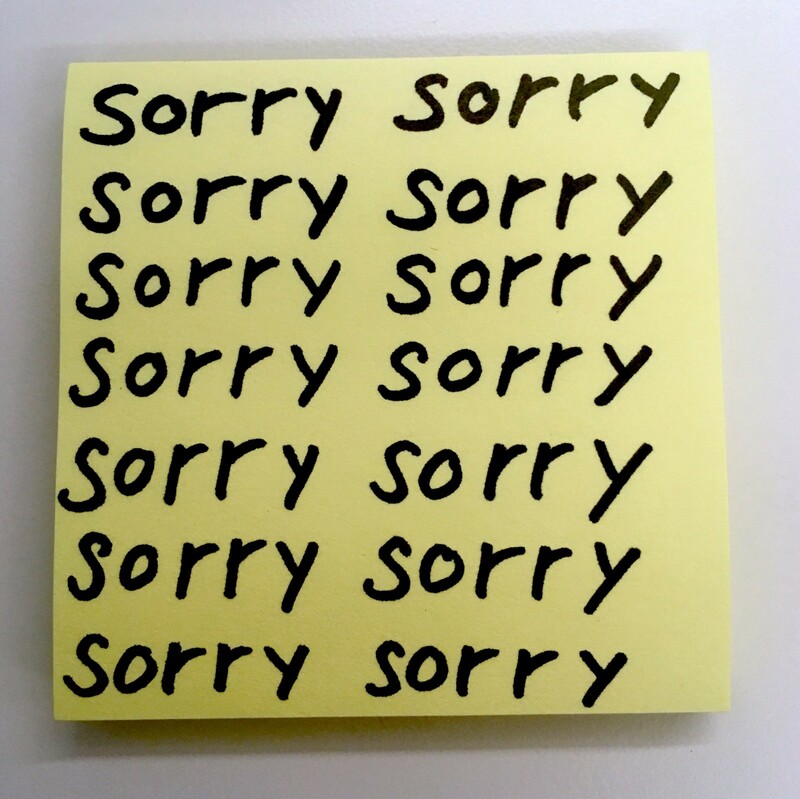 I’m talking about the human tic that causes us to apologize. When I’m less confident, I apologize. When I have to ask a tough question, I sometimes apologize. When I’m about to make a pitch to someone, I apologize. And every time I do, I cringe afterward. How much better would all of that have sounded if I’d just cut out the extraneous words before? What am I apologizing for? To be honest, for a variety of reasons, none of which sound very good. To soften the impact? To deflect criticism before it’s uttered? To appear more likable? I talked about this bad habit with Charlie Rose, whose life’s work is all about asking people the tough, probing questions. He’s been able to wriggle information out of people that nobody else has. And he’s respected for it. Likewise, a few years ago, I was at a BuildOn dinner where Lee Cooperman, the famed hedge fund billionaire, was giving the keynote. He said to all the kids gathered at the dinner something to the effect of his success is something they should all try to emulate. At first, you might be turned off by the arrogance he managed to muster saying that. But he quickly added, “I’ll tell you why,” and then he rattled off his accomplishments. Son of immigrants. Bronx kid. First in his family to go to college. Worked his way up the Goldman Sachs chain. Left to start his own firm. All self-made. By the end, the kids were applauding. I’ll tell you I’m great, and then I’ll tell you why and you decide. So if you ever catch yourself wanting to apologize first, think of Cooperman or Rose. Just ask the question or make the statement, and then back it up. Take “I’m sorry” out of the rotation. Make no apologies and you’ll soon get the respect you deserve. Want to become a great leader? Check out Radiate! We deliver curated expert advice from the top CEOs. Try us out for free by joining here. Originally published at www.inc.com on December 1, 2015.